Road LED luminaire of two chamber construction. Housing and mounting bracket made of die-cast aluminum, painted in gray, diffuser – flat hardened glass. Mounting on pole top or side entry arms with a diameter of 60 mm, -5° ÷ +10° adjustable position. Standard: Opening of luminaire without tools, lifting the cover disconnect the power supply. Removable LED module with special optics, CRI≥70, average 50000 h life time. 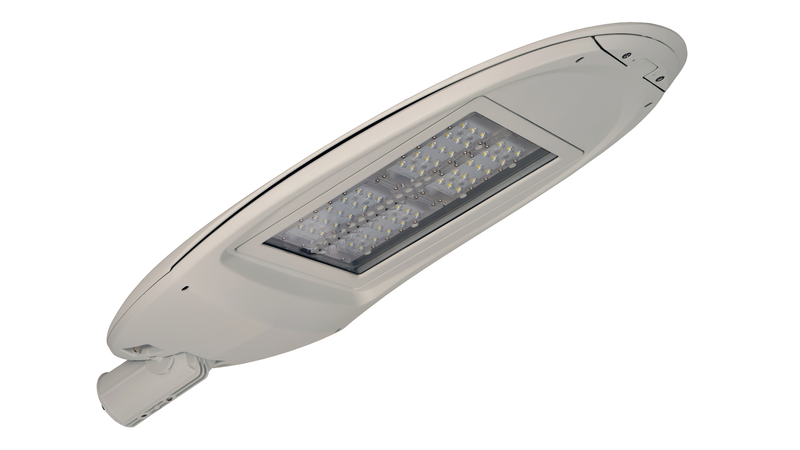 Options: LED’s with CRI ≥ 80, different colour of light, any colour of housing and mounting bracket (RAL), different wall mounting brackets, light and movement sensor, another type of dimming.